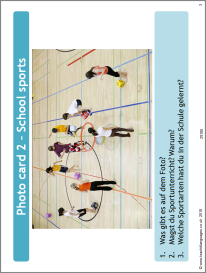 10 German photo cards for Foundation tier speaking related to the theme of current and future study and employment. Additional questions for each photo are provided in the PowerPoint notes as well as in the accompanying Word document, which could be used to support paired speaking practice. Ideal for revision. This is fab, thank you - perfect for my KS4 classes!